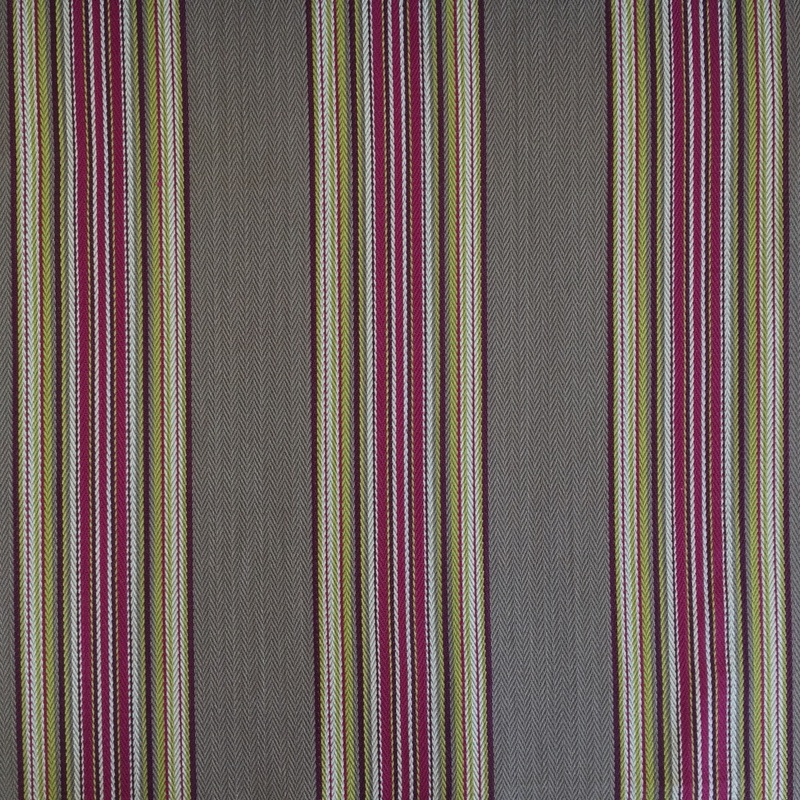 FH712 Weekend Plum is a French medium to thick 100% cotton fabric with strong textural and visual interest. The rich grey ensures this cotton will suit to many neutral palettes whilst the stripes of plum and lime will add an extra layer to any room and styling. 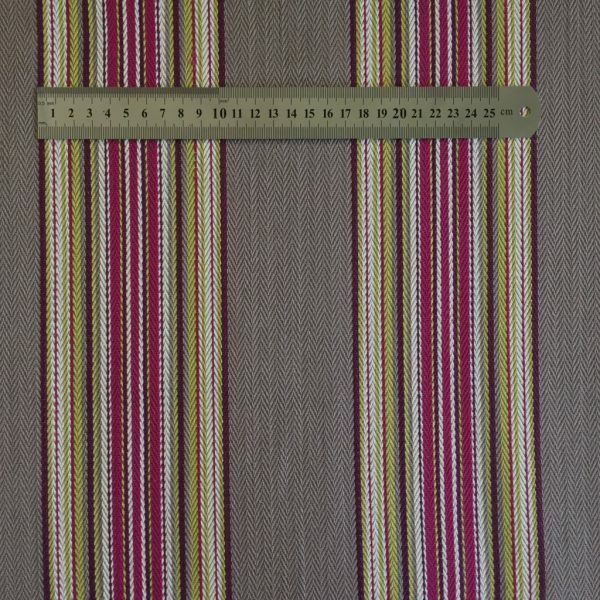 The medium to thick weave of this cotton makes it suitable for upholstery, soft furnishings, curtains and blinds. 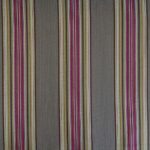 Colour: Grey with plum and green stripes. 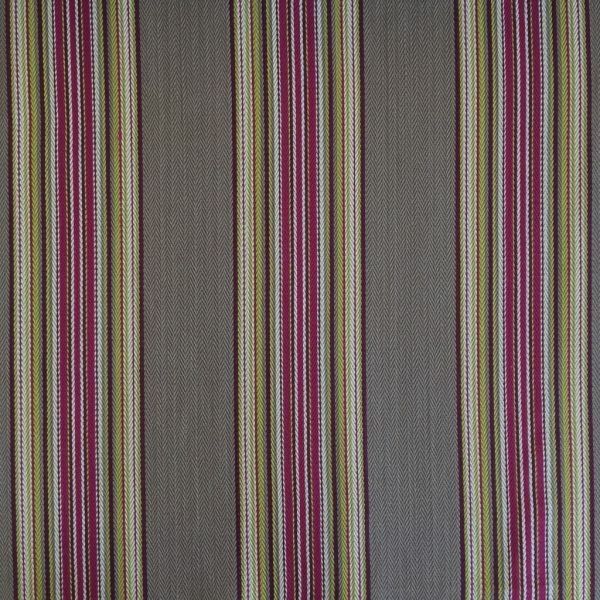 FH712 Weekend Plum is a French medium to thick 100% cotton fabric with strong textural and visual interest. 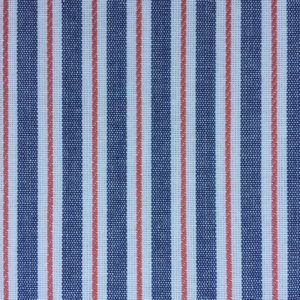 A part of the French Striped Weekend Collection. 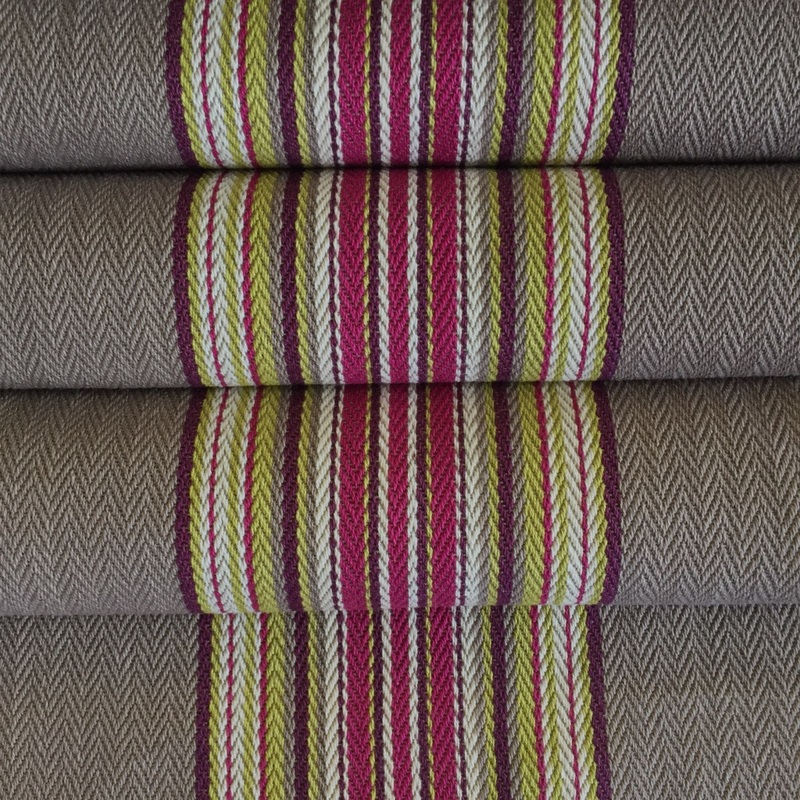 Weekend Plums’ rich grey ensures this cotton will suit to many neutral palettes whilst the stripes of plum and lime will add an extra layer to any room and styling. 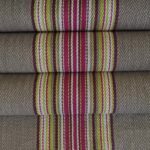 The medium to thick weave of this cotton makes it suitable for upholstery, soft furnishings, curtains and blinds. Loft – Cotton This soft powder blue cotton has already been pre-shrunk and is ready to be used, loved and washed over and over again! Think bedheads, cushions, loose covers and the list goes on. The only thing stopping you is your imagination. 100% cotton for durability and delicately soft which makes this a dream to touch. 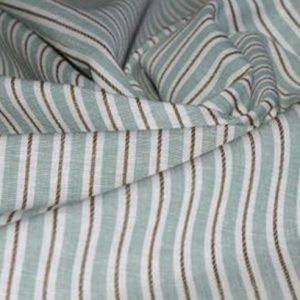 This Seafoam – Cotton stripe cotton takes you back to little waves breaking against the shore. 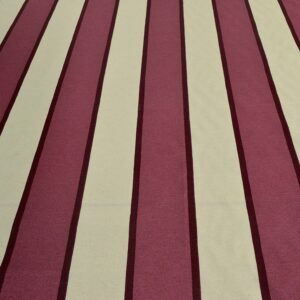 Not quite blue, not quite green stripes contrast the white stripes complimented by a raised khaki brown weave in the centre of the white stripe. The white base and delicate weave of the lightweight cotton tones down the bold fabric, giving it a washed-out look. 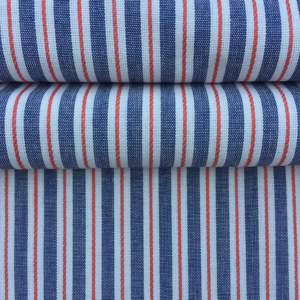 To top it off this 100% cotton has a gentle softness that embraces your touch. Calming and refreshing clean lines to purify any room. 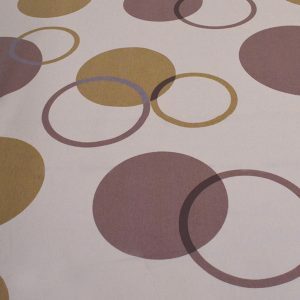 These Metallic Bubbles – Cotton consist of a cream base cotton with circles and dots scattered around like bubbles. 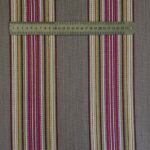 There's no sheen in the fibres as this is 100% cotton, but the colours are metallic with muted silver and golden tones through them. The colours include dusty rose, khaki gold, brown maroon and mauve. 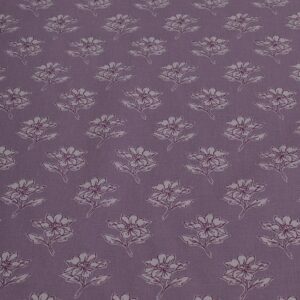 This cool toned Lilac Flowers fabric with a repeated delicate flower pattern, just oozes soothing sensations. Such a delicate little number, this cotton has just enough depth from the contrast of the purple outline and white filling of each flower.